Well, the seKKret is out. Back in February, Kudos reached out to Booper asking about a possible reissue of Kosmonavt. Aftermarket prices were through the roof and we were determined to change that. While Koala-T toiled away at Meowcaps, Kudos began prototyping for Kosmo. A revised skull and other minor adjustments were made to breathe life back into this classic. July 5th – July 7th : Raffle entry form will open up at 2pm (PST) on July 5th . To accommodate international fans and those who are travelling, the form will stay live until 6pm (PST) on July 7th. July 8th : Due to increased demand, we anticipate a higher volume of entries. As such, we will be spending quite some time sending out Paypal invoices throughout the day. Orders will be sent out with 5-10 business days once invoices have been paid. Q: What is a Kosmonavt? 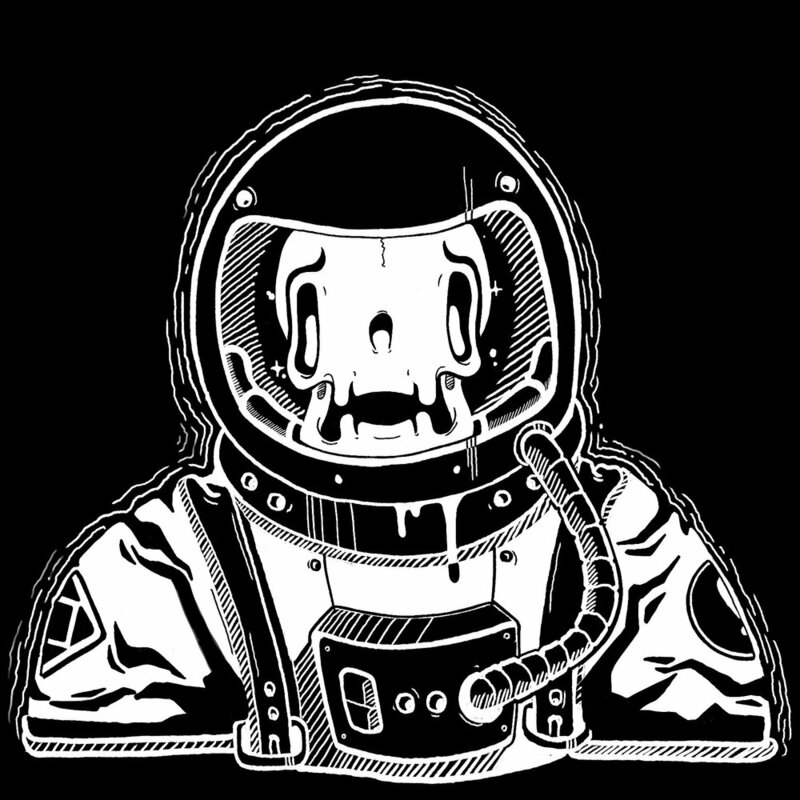 A: Kosmonavt is the brainchild of Booper and KeyKollectiv. As huge fans of her work, Kudos and Koala-T reached out to Booper last year to discuss a collaboration project. 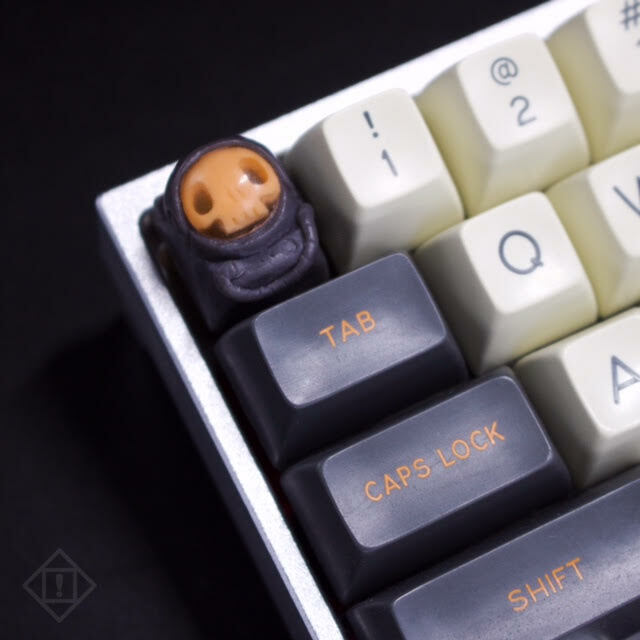 Our mutual love of space exploration made Booper’s masterpiece, Cosmonaut, a natural choice. 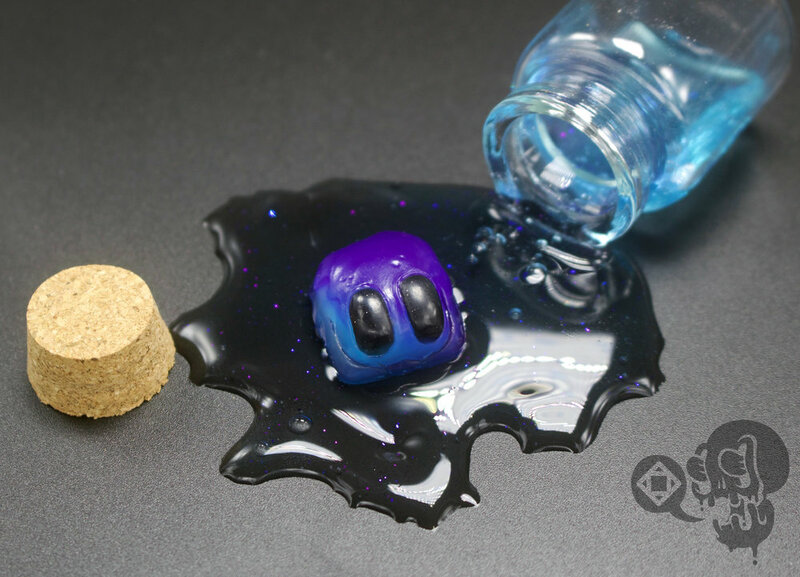 Using this sculpt, KeyKollectiv applied their encapsulation method to create Kosmonavt. A: Kosmonavt was well received during its initial release. Unfortunately, due to the limited supply, aftermarket prices soared astronomically. We decided that a reissue would help curb inflated costs as well as making Kosmonavt available to new and old fans alike. Q: What format will the Kosmonavt reissue be? A: They will be available in both MX and Topre format. 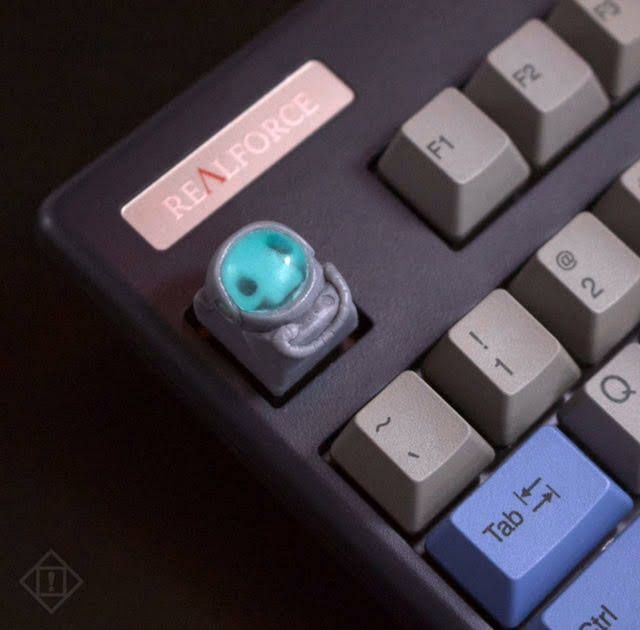 Please note that due to current trends in stem preferences, the number of Topre Kosmonavts will be very low. 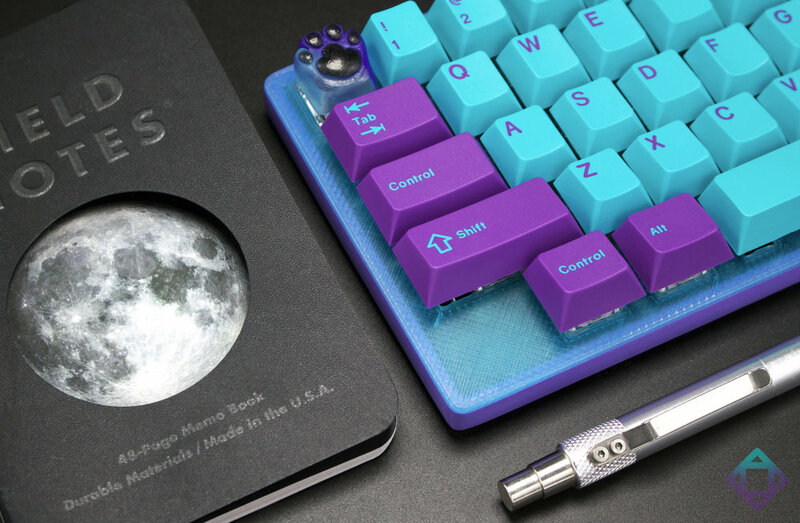 Q: Why is the price higher than other KeyKollectiv artisans? 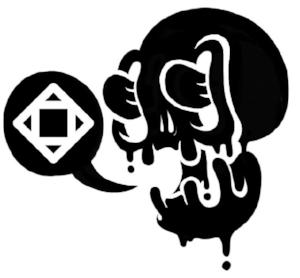 A: Kosmonavt is a collaborative project that involves the efforts of both Booper and KeyKollectiv. Also, the process of creating one requires multiple molds and takes considerable time to produce. Between the logistics of coordinating a joint project of this scale and high failure rates, the price has been increased accordingly. Q: Are there any limits to how many I can buy? A: Because of low yields and higher projected entries, the chances of winning will likely be much lower than usual. After much deliberation, we have decided to enforce a ONE cap limit per person. From a logistics standpoint, it would mean a lot more work for us but we feel it may help alleviate low distribution rates. Q: What happens if I win a spot in the sale but the caps I want aren’t available? A: In the Google Form, you may select up to 3 caps that you wish to purchase. In the event that the cap you want is no longer available, you may choose to buy another style based on the preferences you provide. Q: How many times may I enter the raffle? A: In order to give everyone a fair chance, there is a limit of one entry per person. Please note that all duplicate entries will be cancelled and disqualified. In the event that multiple entries were made by accident, you may email us at support@keykollectiv.com and we can adjust your entry accordingly. Q: A family member/friend/significant other would also like to enter. Would we be disqualified? A: So long as a different Paypal email address is provided, each entry will count as separate raffle entries. Please note that any attempt to circumvent this (using proxy addresses) will be noted and disqualified from this and all future KeyKollectiv sales. Q: I won a spot but I’ve changed my mind and want to make adjustments to my order. What do? A: Contact us at support@keykollectiv.com. Please keep in mind that our stock is very limited and most caps will be allocated already. However, we will do our very best to accommodate your needs. Q: How will we know if we’ve won a spot or not? A: An invoice will be sent to the Paypal email address you provided in the entry form. This will be our only means of notifying your win. Please be sure to carefully check your entry before completing the form. Q: I received an invoice. How long do I have to pay it? A: To ensure timely order fulfillment, we ask that all winners pay their invoices within 48 hours of receiving it. Please note that due to the limited supply, unpaid invoices are subject to cancellation and your spot may be forfeited to another entrant. Q: The shipping address of my Paypal email address isn’t accurate/current! What do I do? A: We ask that all entrants check their Paypal information before submitting their raffles. In the event that changes to shipping must be made, you can contact us and we will do our best to modify the order. Q: Woo! Invoice paid. When can I expect to receive these caps? Orders will be fulfilled in the order that it was paid. Expect tracking information (via Paypal) within 5-10 business days (usually shorter). Shipping times are based on USPS priority (CONUS) or First Class International (International) services. Q: I've entered numerous KeyKollectiv raffles and I've yet to win. What gives? Have more questions? Email us at support@keykollectiv.com! While Kudos is working on a sekkret project, Koala-T has been tinkering away in our lab. For us, Meowcaps holds a special place in our heart. 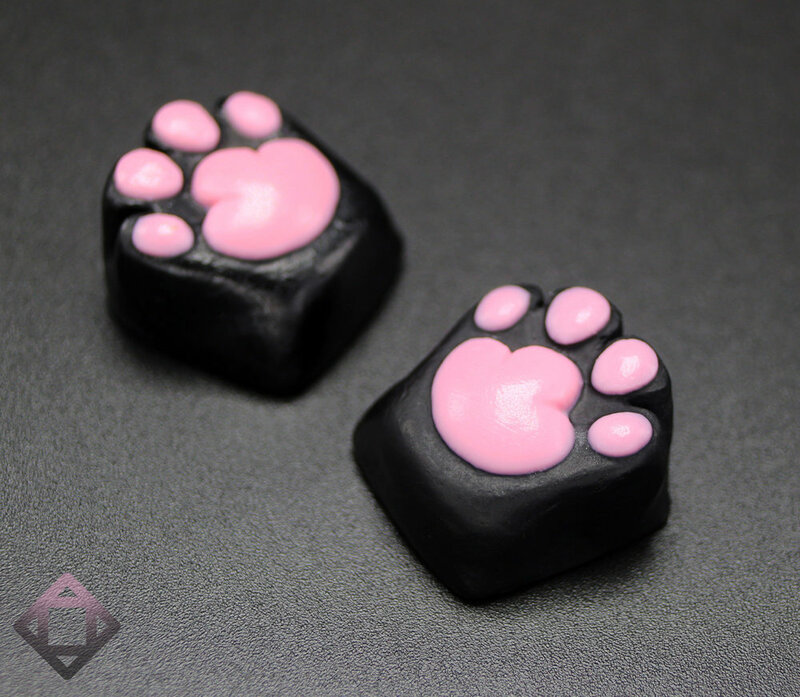 Back in early 2015, KeyKollectiv released our very first cap: Meowcaps V1. Two years after the first launch, Koala-T has decided to revisit this classic. This time, she's incorporated our current design philosophy to create a Meowcap that is minimal but still captures the charm of the original. We hope you have a chance to take one of these caps home with you soon! Apr. 15th - Apr. 16th: Raffle Form goes live. Apr. 16th: Invoices will be sent out shortly after raffle form closes. Orders will be sent out between 5-10 business days once invoices have been paid. Q: What is a Meowcap? Q: What format will Meowcap V3 be available in? A: They will be available in both MX and Topre format. A: As supplies are limited, we want to make sure that we get these Meowcaps adopted to as many homes as possible. To do so, we will be limiting each order to 3 caps maximum per order. A: In the Google Form, you may select up to 5 caps that you wish to purchase. In the event that the cap you want is no longer available, you may choose to buy another style based on the preferences you provide. A: So long as a different Paypal email address is provided, each entry will count as separate raffles. Q: What if I want 2 or more of the same style? A: No worries, just select the same style when prompted for your top choices. A: An invoice will be sent to the Paypal email address you provided in the entry form. Please be sure to carefully check your entry before completing the form. KeyKollectiv is excited to announce the Furt Reborn sale! He's been lurking in the shadows waiting patiently for his opportunity to strike. For this sale, we've been experimenting with new mediums and we're excited to share the results. Like his beta predecessor, Furt Reborn is a proof in concept so quantities are very limited. Don't miss out on this chance to take one home! Q: What format will Furt Reborn be available in? Q: What is "Flubburt"? How is it different than the regular Furts? Why is it more expensive? A: Flubburt is a "proof of concept" cap. Instead of polyurethane resin, we opted for rubber. Because these new materials are much more difficult to work with, we had to change the way we set up our mold-making and resin casting techniques. Q: How many Furts/Flubburts were made? A: Generally, KeyKollectiv doesn't like to divulge information about how many keycaps we make. We want to make sure that our fans manage their expectations about their chances of winning. Overall, only about 20 of each style (Furt) was made (Topre and MX). 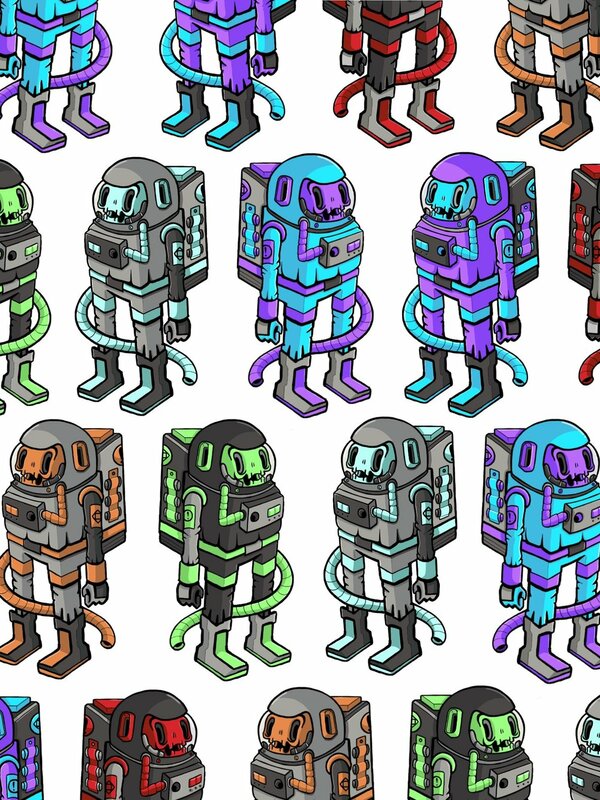 As for Flubburt, only 20 were made in total. Due to the complexity and difficulty in making Furt/Flubburt, we kept production to a minimal. A: As Furt Reborn is a proof of concept project, very few caps were made. As such, we are limiting purchased caps to 3 per person. Q: Wait. What is this keychain in the order form?!?! A: We are proud to offer these cute MomKollectiv keychains. You may only purchase up to 2 keychains per order. 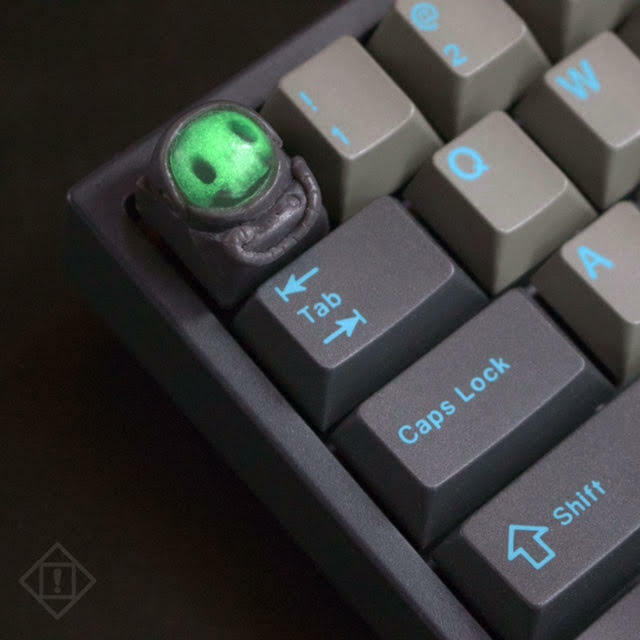 As a bonus, we will be including a free Dark Matter Furt keycap with some of the keychains we send out. Dark Matter can only be acquired by winning one with purchase of keychain. Q: What are the odds of winning Dark Matter Furt with keychain purchase? A: Each keychain has a 1 in 3 chance of winning a Dark Matter Furt. Q: What if I don’t win a spot in the sale but would still like to buy a keychain? A: Unfortunately, due to the low number of keychains made, they will likely not be available to purchase after the sale. KeyKollectiv is excited to announce the Snackeys: Fruit Reboot! For this collection, we wanted to bring some new methods to an old classic. All your favorite flavors from V1 are back. But this time, we are adding a few new fruits into the mix. Q: What format will Snackeys: Fruit Reboot be available in? A: They will be available in both MX and Topre format. MX caps are based on Cherry profile (top row) while Topre caps are modelled after standard HHKB profile (top row). A: As KeyKollectiv would like to get these caps to as many people as possible, we are limiting purchased caps to 4 per person. Q: Wait. What is this keychain and sleeve in the order form?!?! A: We are proud to offer these cute MomKollectiv keychains and sleeves to winners of the sale. You may only purchase up to 2 keychains per order. Sleeves are extremely limited so will only be available while supplies last. 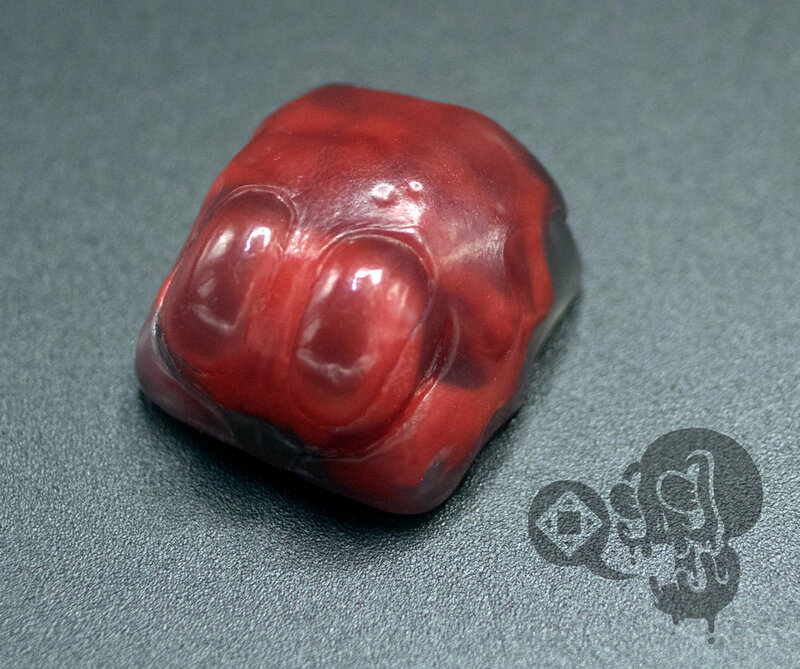 As a bonus, we will be including a free Lychee keycap to some of the keychains we send out. 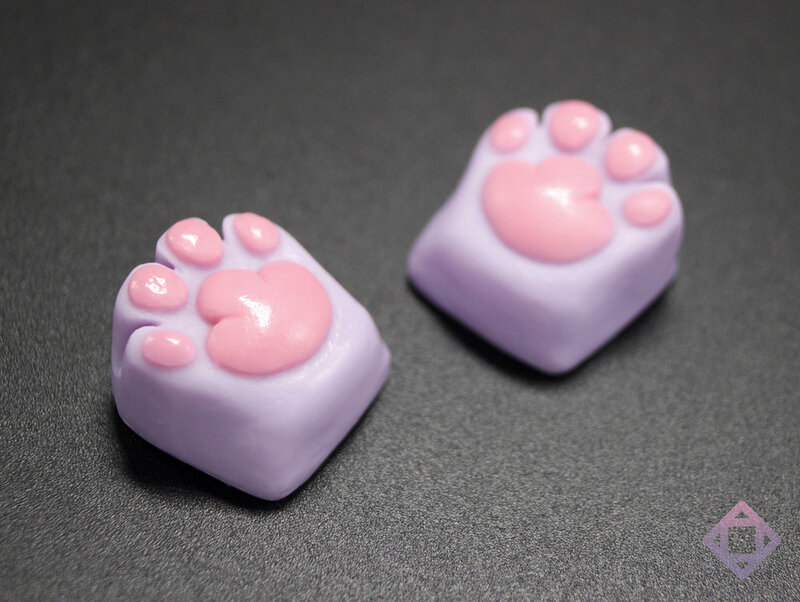 Bitberry will be a bonus keycap given out with some of the sleeves. Lychee and Bitberry are the 11th and 12th flavors in this series and can only be won. Q: What are the odds of winning Lychee and/or Bitberry with keychain/sleeve purchase? A: Each keychain has a 1 in 4 chance of winning a Lychee cap. There is also a 1 in 5 chance that each sleeve it will contain a Bitberry cap. A: Unfortunately, due to the low number of keychains and sleeves made, they will likely not be available to purchase after the sale. A: In the Google Form, you may select up to 6 caps that you wish to purchase. In the event that the cap you want is no longer available, you may choose to buy another style based on the preferences you provide. Q: I missed out on this sale. Will you be bringing this series back? A: Currently, we have no plans to re-release Fruit Reboot in the near future. However, we’ve learned (the hard way) that it’s best to never say “never”. To stay updated on all future KeyKollectiv launches, please sign up for our newsletter or follow us on Instagram. KeyKollectiv is excited to announce the next release of our Snackeys series, Bento Blanks! For Series 2, we were inspired by Japanese food (mostly sushi) as it’s one of our favorite foods to snack on when we’re hungry. As KeyKollectiv urges everyone not to eat while typing, we figured Bento Blanks would be the next best thing! Google Order Form will be open on Sept. 1st, 2016 and end on Sept. 4th, 2016. Once closed, we will select the winners via random number generator. Paypal invoices will be sent out on Sept. 5th, 2016. Q: What format will Bento Blanks be available in? A: As KeyKollectiv would like to get these caps to as many people as possible, we are limiting purchased caps to 4. As the “roll” caps (Futomaki, Kappamaki and Tobiko) are more complex and require a lot more time/effort to produce, quantities are very limited. A: We are proud to offer these cute MomKollectiv keychains to winners of the sale. Each Nigiri Keychain has a hidden compartment for storing your coins, caps, etc. You may only purchase up to 2 keychains per order. As a bonus, we will be including a free mystery keycap to some of the keychains we send out. Wasabi and Hanami are the 8th and 9th style in this series and can only be won. Q: What are the odds of winning Wasabi and Hanami in a keychain? A: Each keychain has a 1 in 3 chance of containing a Wasabi cap. There is also a 1 in 20 chance that it will contain a Hanami cap. A: We will be allocating some units for our web shop for those who didn’t have a chance to participate in the sale. Stock will be updated randomly so keep an eye out! A: Currently, we have no plans to re-release Bento Blanks in the near future. However, we’ve learned (the hard way) that it’s best to never say “never”. To stay updated on all future KeyKollectiv launches, please sign up for our newsletter or follow us on Instagram. Due to extenuating circumstances within my family, KeyKollectiv will be running a small group buy for 60% sleeves and plush keychains. All proceeds will be going to my mom. We are currently accepting limited spots for the initial order. Depending on production and materials, we may expand into more batches down the line. What are these sleeves and plushes made of? The cases are made with water resistant synthetic fabric and lined with soft felt. Each case has a drawstring enclosure as well as a velcro flap for extra security. Plush keychains are made of 100% cotton. What kind of keyboards can these sleeves hold? 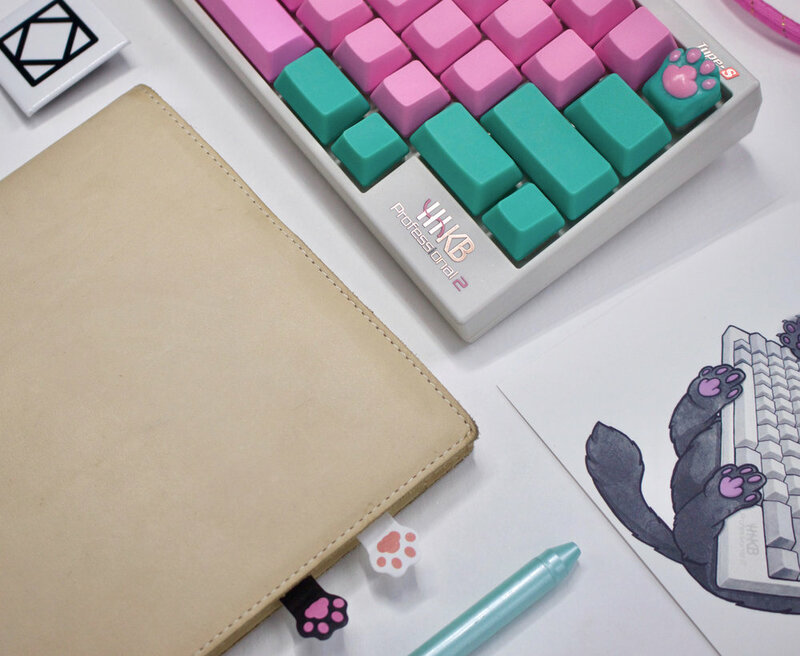 These cases are designed for 60% keyboards like HHKB and Pok3r. Keyboards like Leopold 660M/C fit as well. What colors are the sleeves and plushes available in? Due to limited stock in materials, the cases are only available in black (for the time being). The plush keychains are only available in white. As this is our first foray into accessories, we want to keep prices are reasonable as possible. We are pricing the sleeves at $35 each. Plush keychains are $8 individually and $5 when bought with a sleeve. ($40 for sleeve/key chain combo). How will this group buy be rolled out? Our Google order form will remain live from June 20th to June 26th. At the end of entry, we will tally up all orders and determine how many rounds this group buy will consist of. Entries will be assigned to rounds based on when they are initially submitted. Once your order has been assigned to their respective rounds, we will begin sending out invoices. Because materials need to be purchased, we ask that you post payment within the first 48 hours. As these are all hand-made overseas, expect shipment in 2-4 weeks (from time of invoice). We will roll out a new round incrementally (most likely weekly). Available spots in Group Buy is entirely dependent on how many my mom can produce and how much material we have left. As such, the number of entries we accept will be limited. Is there a limit to the amount of cases and plushes I can purchase? Yes, you will be limited to 5 of each (though I'm not sure who would buy 5 sleeves). Will there be any GB's for sleeves after this sale? We will be exploring our options once we wrap up this buy. At this current point, we are unclear whether this product offering will remain available after this sale. How can we contribute or show our support? Do you accept donations? We get asked this question quite a bit and the answer is no. We do not accept donations. My mom is a proud woman and wants to earn it. You can show your support by participating in this or future KeyKollectiv sales. If you have any further questions, feel free to contact us at support@keykollectiv.com directly. Thanks and good luck to all!